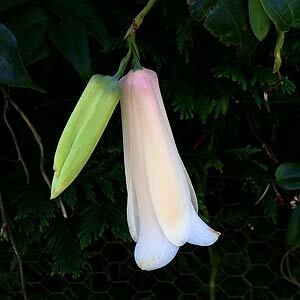 Lapageria Rosea or Chilean Bellflower is a climbing plant and cultivation requires a cool root run and a humus rich moist soil. This is the National flower of Chile where it is sometimes referred to as 'Copihue'. An evergreen plant, Lapageria does require some warmth, a conservatory is great, a warm patio with protection from winter cold will also be worth a try. The beautiful red waxy bell shaped flowers last well on the plant in spring. 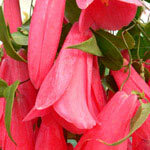 Lapageria Rosea is probably best grown in the conservatory in the UK. 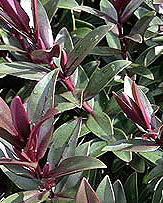 'Nash Court' is a popular cultivar available for sale in the UK. 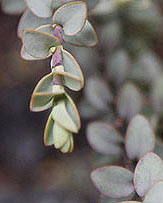 Lapageria plants can be grown from seed. Lapageria rosea var. 'Albiflora' or 'Alba' is a white cultivar well worth looking for. Pink cultivars are also available. These are not difficult plants to grow given the right conditions. Lapageria like to climb their own way up trough plants that will give them support and shade, the cool root run provided by plants such as camellias and rhododendrons are also well suited to Lapageria. 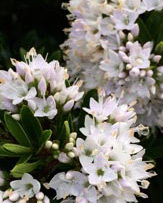 However a lime free soil is almost essential for these rare and wonderful plants as they prefer a soil pH of 6 or lower. And a frost free position is essential. 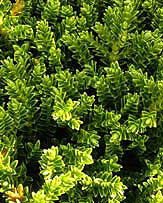 They are also a plant that requires excellent drainage, no waterlogged soils. A common problem with Lapageria especially when young is snails and slugs, they seem to love the foliage. Lapageria seem to resent being disturbed or moved, so find a suitable position and leave them to their own devices. Heavy frosts can be damaging so provide some protection, or perhaps grow Lapageria in a pot and bring under cover during frosty periods.